How has your week been? Mine has been busy! I have made an effort to go to the gym twice after work this week and on the nights I didn’t go, I worked out with my dumbells at home. I will try to hit the gym tomorrow and Sunday as well. Right now I am working out on the stair machine. It’s one of my favorite machines to use. It definitely gives you a good workout! I’ve also been working on school stuff. For those of you who don’t already know this, I am taking 3 classes. I am finishing up my bachelors degree. I should be able to graduate in May 2014. Now, let’s move on to my favorite finds of the week. 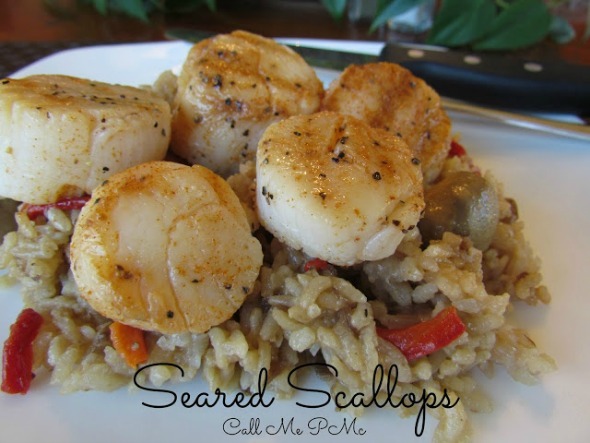 Scallops are one of my favorite seafood items. I love ’em fried, broiled, grilled and seared. Paula’s look amazing. 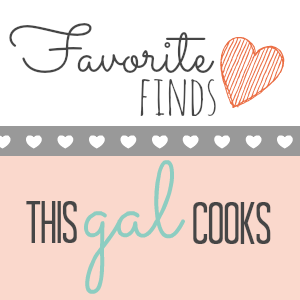 If you want to see more amazing recipes, be sure to stop by and check out Paula’s blog! I’m a sucker for cookies and caramel macchiatos from Starbucks. I don’t think I could ever get sick of the smooth, caramel taste of a hot caramel macchiato. I don’t think I could ever get sick of cookies either. 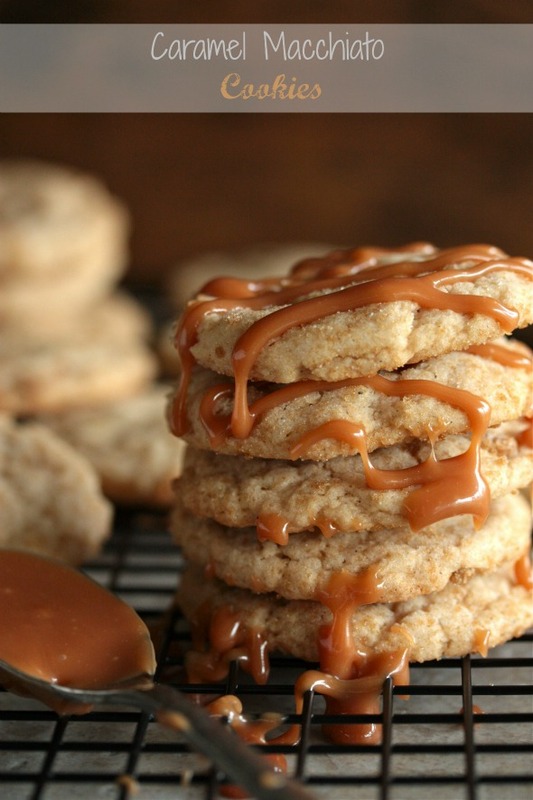 When I came across these Caramel Macchiato Cookies by Country Cleaver, I immediately fell in love! One of my favorite side dishes to make is macaroni and cheese. It’s so fun to experiment with it and create different flavors with items such as chipotle peppers, rosemary or even pancetta. Experimenting with different cheeses also results in some pretty tasty mac n cheese dishes. 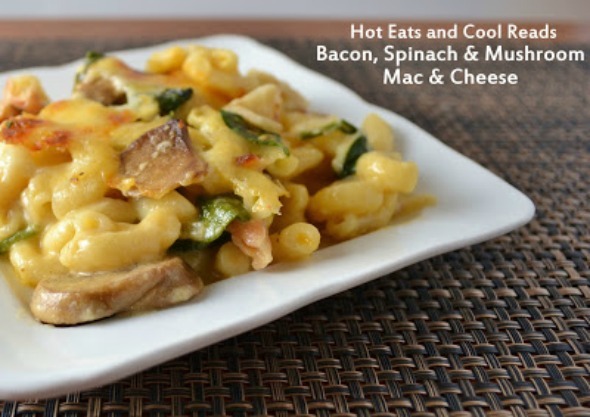 I love what Sheena from Hot Eats and Cool Reads did with her mac and cheese. Using bacon, spinach and mushrooms is something that I will have to try one day! It’s no secret that I enjoy quiche. I’ve made it twice within the last two weeks. It’s an easy to make meal that is perfect for breakfast, lunch or dinner. 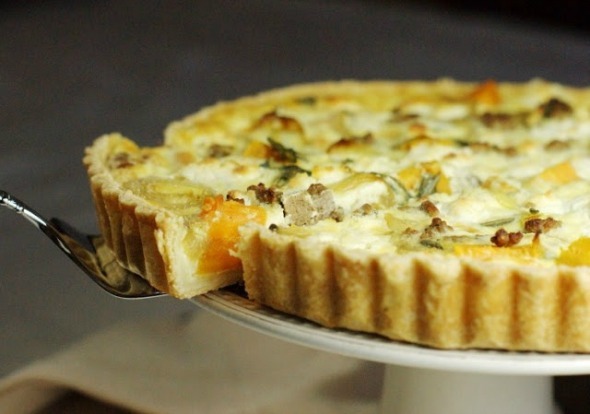 I love coming across quiche recipes that aren’t the typical ham and cheese recipe. Tracey’s quiche recipe definitely peaked my interest. Experimenting with sweet potatoes and sausage is just awesome and it’s something I am going to have to try next time I make a quiche! Bread. It’s a wonderful thing. With so many varieties there’s something out there for everyone. Of course, I will eat just about any bread that’s presented to me. I may even try to bake it! 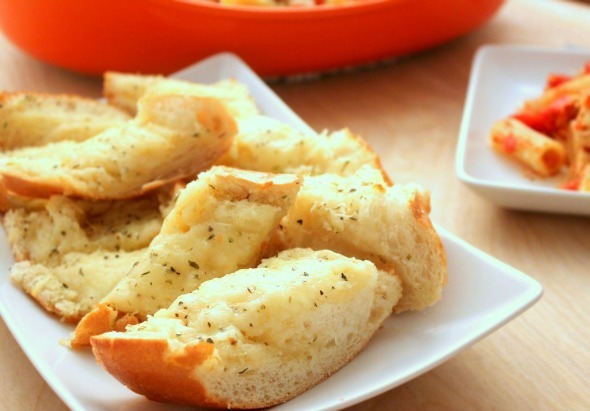 Most of us bread lovers absolutely enjoy garlic bread. And we especially love garlic bread that is topped with cheese. This quick and simple recipe by I Heart Eating looks fantastic. And looking at the pics of this bread makes me wish I had a slice right now! I hope you enjoyed this installment of Favorite Finds. Which of these awesome recipes is your favorite? Great finds this week, Julie! I am hungry just looking at the choices you shared. Have a good weekend! Julie! You didn’t tell me I was a ‘Favorite!’ Thank you so much!! Every favorite looks divine! !